First Nation Growers LP., Founder, Chief Executive Officer, Dawn Tabobondung comes from exceptional Anishinabek bloodlines, with very strong, and dedicated Indigenous lineage. Dawn is a successful and battle-tested First Nation community member that has always taken pride in assisting her fellow Band members and the Anishinabek people. Her family members have always had a strong calling to help others. Dawn’s mother Joyce Tabobondung is a First Nation elder and former community and regional Chief, that is well respected throughout her community and country as a former First Nation leader. Dawn’s older brother, Warren, currently sits as Chief of Wasauksing First Nation. All family members seemingly follow the footsteps of Dawn’s Grandmother, Chief Flora Tabobondung, who was awarded the prestigious Royal Order of Canada in 1988 for her continuous contributions to the betterment of her peoples. We mention this to show the dedication and genuine commitment of family members to contribute to the betterment of the Anishinabek people. Dawn is no different in having the same characteristics and pride in leading the FNG team to provide opportunity and assistance to her community as well as all other First Nations and Inuit community partner fresh food growers throughout Canada. Her innovative vision and the corporate mission will provide an affordable and financially sustainable, fully automated, cold climate, four seasons indoor growing garden farm system. This system will improve year-round community nutrition, regardless of community locations. Individuals, First Nation and Inuit communities wishing to serve their people through the development of their own year-round, indoor farmers garden producing fresh greens, herbs, and traditional medicines, will be able to do so through real development, training, and education offered by FNG. Growing today, for a healthier tomorrow! Dawn Tabobondung is a proud member of Wasauksing First Nation, who, like her Grandmother before her, and Royal Order of Canada Recipient, Flora Tabobondung, has always had a strong passion for helping others, especially her fellow First Nation Members, providing support and assistance where and when she can. Dawn takes tremendous pride in her current position with Wasauksing First Nation, as acting Gaming Revenues Program Coordinator. Dawn finds her position often gratifying in knowing that she can help provide support and assistance to her fellow Band Members from time to time when requested, through the First Nation Gaming Revenues Program. Dawn is the proud mother of three bright children, all proud members of Wasauksing First Nation, two that currently attend University, one in Ottawa, another in Halifax, with her youngest preparing to finish high school next year before attending University herself. It is no secret that politics has always been a part of the Tabobondung family, where some say it flows naturally throughout the bloodlines. Dawn prides herself in following the lead of both her Grandmother and her Mother Joyce in always striving to find new ways that genuinely contribute to the betterment of her community and peoples. Dawn is an Honours graduate of George Brown College, Toronto, in Office Management and Administration, with a strong background and experience in Accounting and Bookkeeping. Dawn has held previous First Nation management positions as an Economic Development Officer, Office Administrator, Office Manager and First Nations Marina Manager. 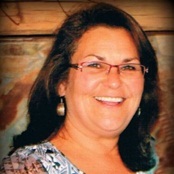 Dawn also played a significant management role in the Wasausink Lands Development Corporation, as Administrator, during a tough time and the restructuring of WLI, including the implementation of adding new Board Members with the understanding at the time the Corporation would better serve Wasauksing First Nation community members. During Dawns time at WLI, she was a registered Commissionaire, recognized by the Department of Indigenous Affairs. Outside of her regular Band employment hours, Dawn has recently had the passion and vision to start a fully automated, Garden Fresh Foods Farm produce indoor growing System! This innovative system has become a significant component of a First Nation Research and Development Training Facility. Located in her First Nation, growing indoors, year-round fresh produce as well as Indigenous herbs and traditional medicines that help contribute to the betterment and well-being her First Nation members and other interested First Nation and Inuit communities across Canada. FNG Management is a collaborated vision between two close family members that share a common goal to make a difference today for tomorrow in our First Nation and Inuit communities. Daughter Dawn Tabobondung and her mother, Joyce Tabobondung, have always shared the same vision to find ways that contribute to the betterment of all Indigenous peoples. Joyce Tabobondung will serve as Corporate Vice President, also serving as Senior Indigenous Advisor. Both Ladies have impressive biographies. Dawn has vast experience in business bookkeeping with an essential background in audit executed accounting. Dawn also has strong communication and trusted people skills in working both with First Nation and non-Native people and organizations. Joyce Tabobondung is a well-respected Indigenous Elder and former First Nations and regional area community leader, holding the position as Chief for many years, as her mother did for so many years before her. Her son, Warren, has also followed her footprints, sitting as the current Chief of Wasauksing First Nation. 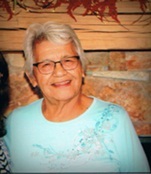 Joyce has held several key management, council, and First Nation leadership positions throughout her years and currently sits as President of the area Anishinabek Friendship Centre. There is no one better to lead the vision of First Nation Growers LP., in developing First Nation and Inuit community partnerships that will surely last for generations based on the firm vision and corporate core values of FNG! Most importantly, Joyce understands the needs and wants of the Anishinabek peoples and their community concerns, including the essential nutritional well-being of First Nation and Inuit communities throughout all of Canada. FIRST NATION GROWERS LP., with a four-person executive team that includes two trusted senior industry advisers and an outside consultant working closely on our entrance into the natural, cold climate, rotary hydroponic growth industry, we are confident that we have the right start-up management pieces in place to create a secure FNG future. It will be a priority for FNG to hire Indigenous Community members where and when we can. We are looking for talented, dedicated and committed First Nation and Inuit community members that take pride in working within their community. We know our First Nation and Inuit community members can perform the job tasks in all areas of operations. Jobs titles will no longer be significant, as work completed through collaboration and teamwork. Dawn will oversee the day-to-day operations of the business, with Joyce focusing on building robust First Nation and Inuit community relationships throughout Turtle Island. First Nation Growers LP (FNG) is a 100% Indigenous owned, state-of-the-art, year-round, indoor, climate controlled; fresh produce growing, natural Fresh Foods Garden Farm System Company. 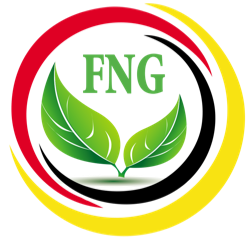 FNG’s agricultural system is operating within advanced equipment rotary hydroponic technology. FNG’s 24/7 fully automated, cold climate commercial (Community Fresh Foods Garden Farm Systems) and or residential ( residential Box Garden Farm) growing technology use an environmentally friendly system that specially designed for year-round, indoor, cold, or hot climate organic garden, worldwide. We offer a technically advanced and affordable, custom designed indoor growing system for natural, fresh produce, cold and hot climate growing, serving the needs of First Nation and Inuit communities across Canada. First Nation Growers LP. has a dedicated business focus to serve the comprehensive needs of Indigenous people, including our most remote First Nation and Inuit communities throughout all of Canada, addressing community nutrition concerns, by providing year-round, fresh produce growing opportunities where quality and cost are essential. With a core staff of experienced, Indigenous professionals, along with a team approach to each First Nation and Inuit community garden farm project, FNG can offer First Nation and Inuit communities their own self-sufficient, financially viable, year-round, indoor, fresh produce growing opportunity. Working with Indigenous growing system start-ups in an inviting and balanced First Nation setting, FNG provides quality, industry service, training, and education workshop seminars, designed by Canadian’s for Canadian’s, in the best interest of year-round First Nation and Inuit community health. First Nation Growers LP., is proud to introduce our first Indigenous pilot project, located on Wasauksing First Nation, the “Parry Island Fresh Foods Garden Market“ serving Wasauksing First Nation and all other surrounding area First Nation communities.